Don't live your life in pain - we can help! Contact us TODAY. Sign-up using the form or call us at 713-622-5600. Call us at 713-622-5600 today. 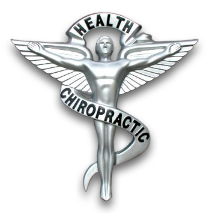 Located in the heart of Houston, the leading health professionals at Galleria Wellness are dedicated to helping you achieve a pain free life -- combining skill and expertise that spans the entire chiropractic and medical spectrum. We are one of the only clinics in the Houston area to offer Manipulation Under Anesthesia (MUA) as well as Spinal Decompression. Dr. Said utilizes several outpatient surgery centers around Houston for his MUA procedures. We work with several Pain Management doctors as well as Orthopedic Surgeons.We are committed to bringing you better health and a better way of life. Patients seeking treatment at Galleria Wellness are assured of receiving only the finest quality care through the use of modern chiropractic equipment and technology. Dr. Said and the staff have a genuine concern for your well-being! "Now I can enjoy outdoor sports and things I've avoided like strolls in the park and going for picnics, and gardening. Not only have I been healed of my allergies and sinus trouble, but my overall health has improved incredibly also. I rarely get sick, and when I do, I get better faster. It feels great to be drug-free. Thanks Dr. Said!" "I couldn't believe what just a few chiropractic adjustments could do. I now have normal movement in my neck and shoulder and feel better than I have in years. I wish I had known to come to you earlier! Thank you!"